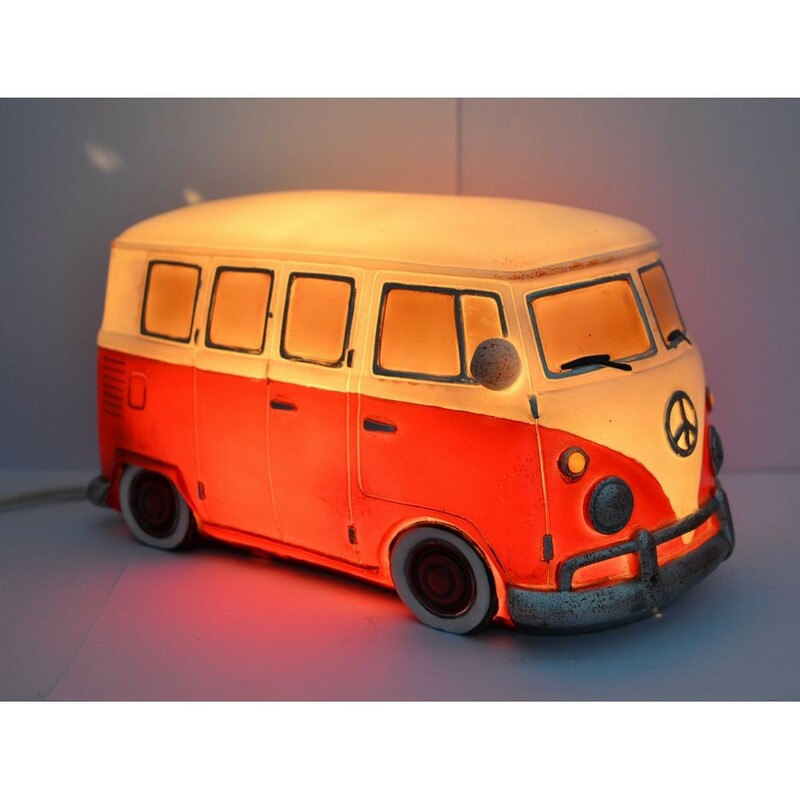 1960's inspired split-window kombi camper van table lamp. 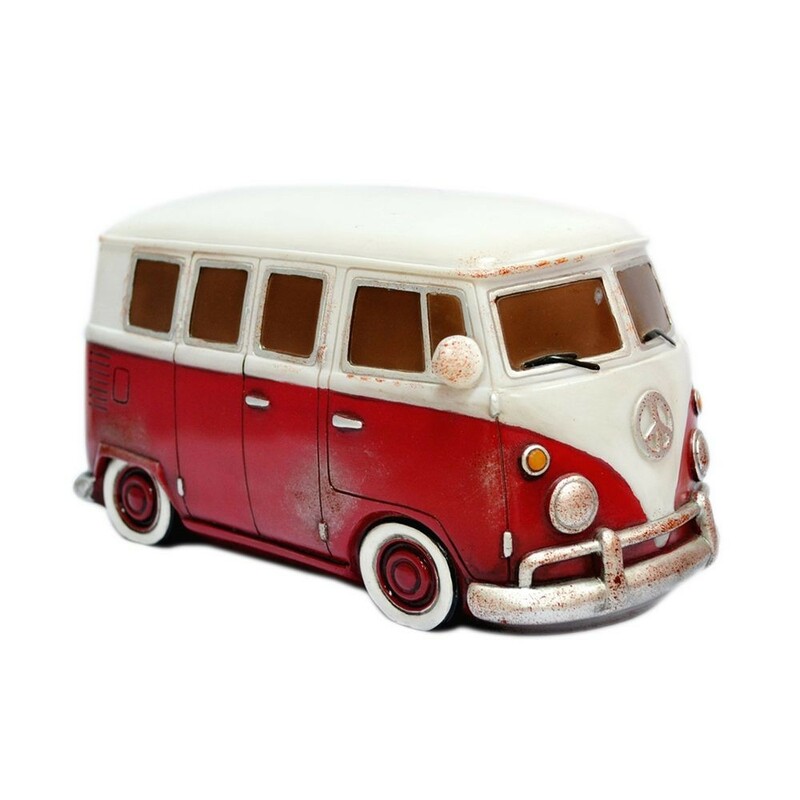 Made with a combination of polyresin and fibreglass makes for a smooth and shiny surface that emits a soft glow from inside. Perfect for the 1960's collector or Kombi fan.